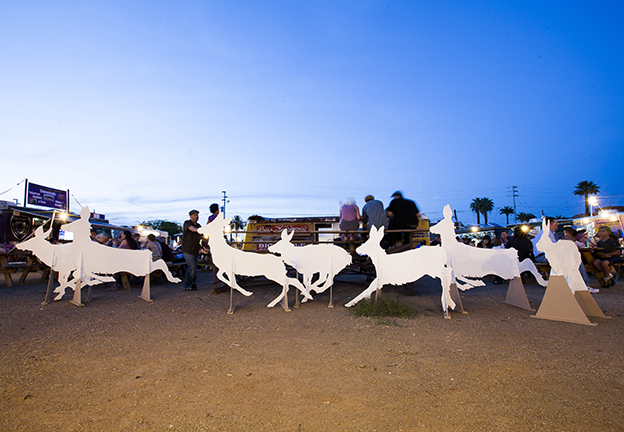 Unexpected and ghost-like, Scottsdale artist Lauren Strohacker’s encounters with Arizona wildlife trigger primal responses of fear and exhilaration. 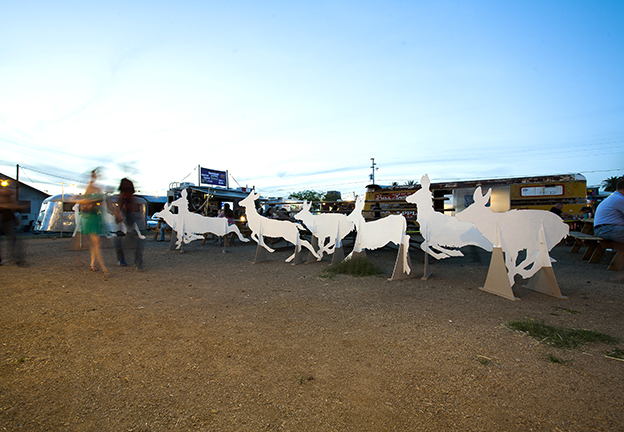 In her work, she explores the paths of people and animals crossing. 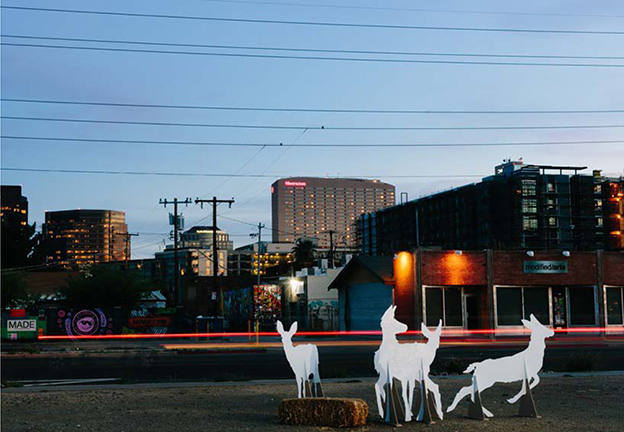 Encounter presents the possibility of large wildlife in downtown Phoenix. 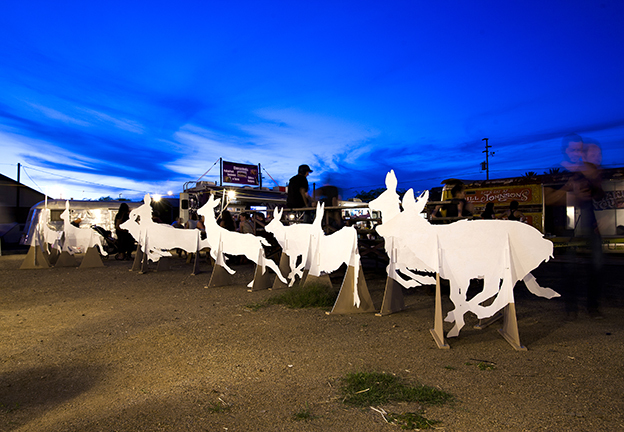 During the day, the deer glisten in the sun, while the headlights of cars ignite the herd with light and motion at night. 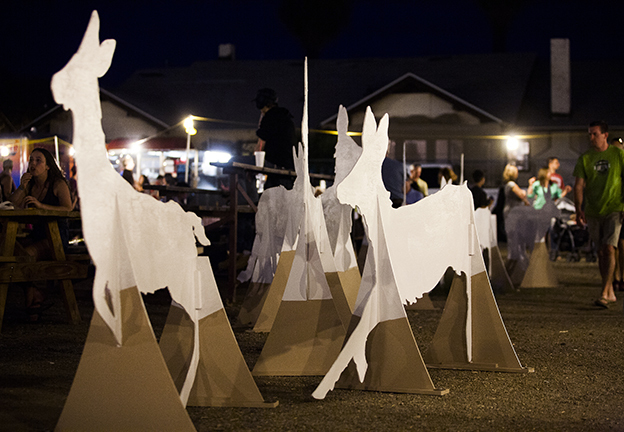 During A.R.T.S Market events, deer and human forms mingle in intimate cohabitation. 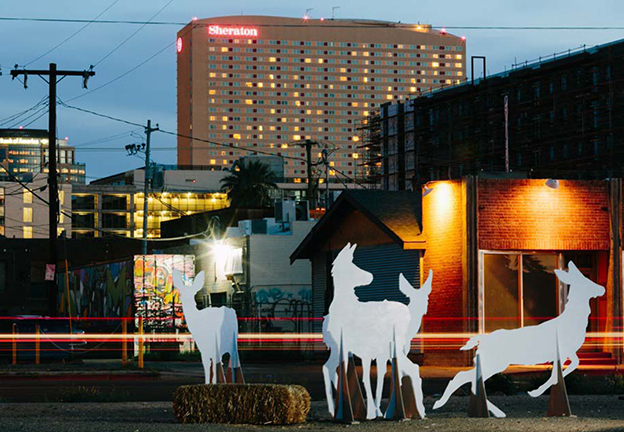 Animals represented in urban settings create symbolic interplay between the real and the artifice, the human and the animal, civilization and the wild. These deer are not safe. They can be abused, tagged, or destroyed. 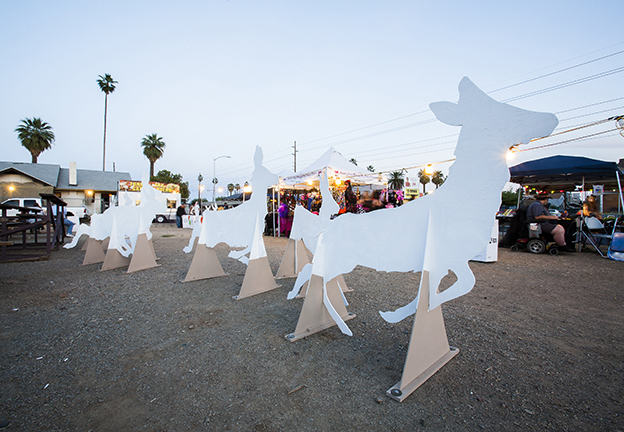 Letting this happen is part of Strohacker’s installation––she sees the marks left on these deer as a reflection of our opinions on cohabitation with wildlife. 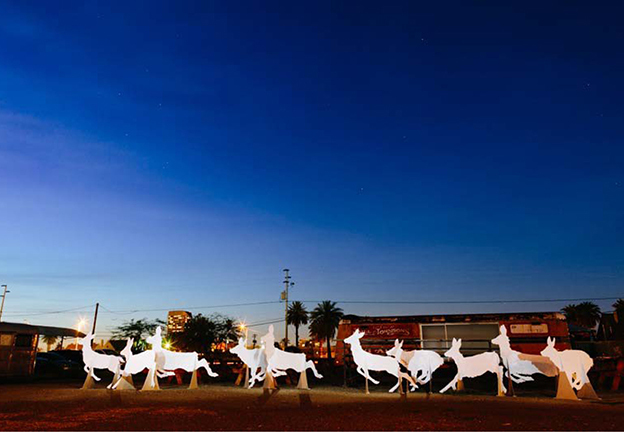 Over 10 months, these 14 deer endure the city while each triumph and tragedy is documented by the artist. This artwork was commissioned by A.R.T.S. (Adaptive Reuse of Temporary Space) Roosevelt Row Community Development Corporation.